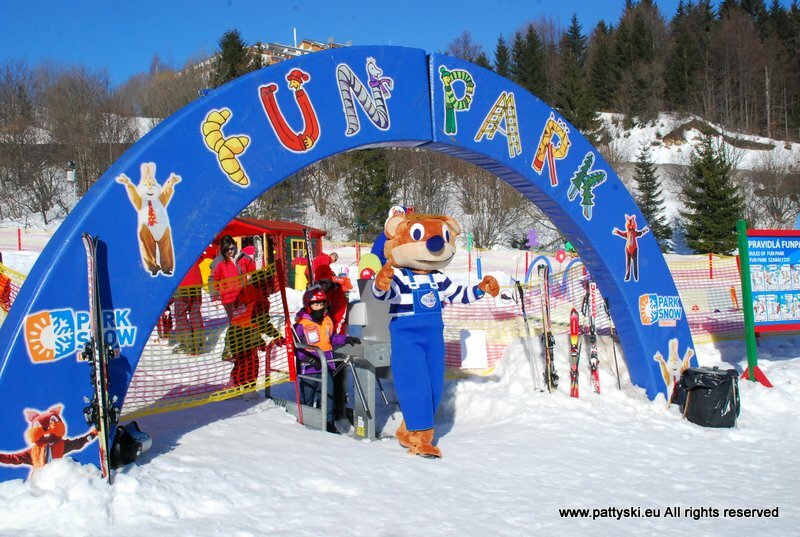 Ski schoolPrivate courseGroup courseNight skiing lessonsSki kindergartenKids snowboardBrumik teddy bear ski academySCHOOL RESERVATIONSkiing rules - FIS 10What level am I? 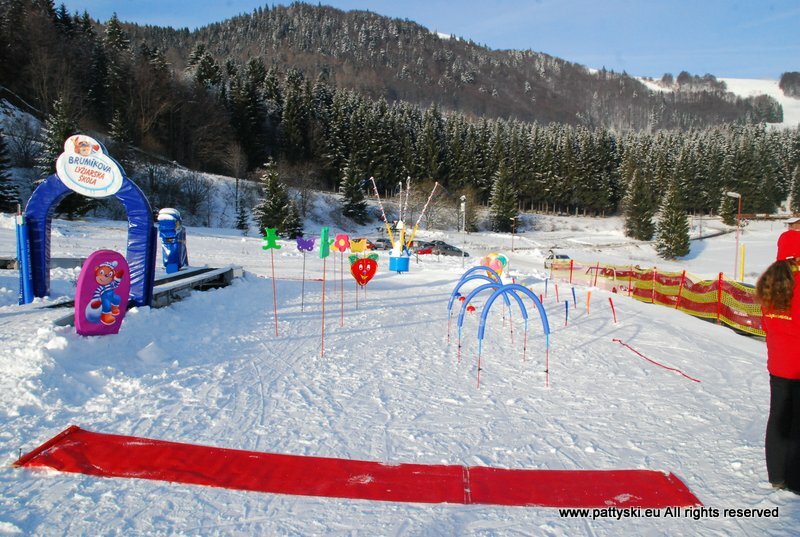 Would you like your kids to learn to ski this winter? 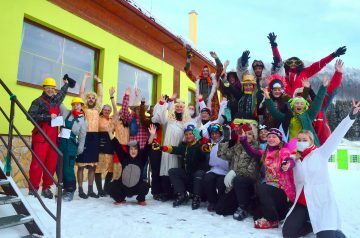 What is Brumik Ski Academy ? 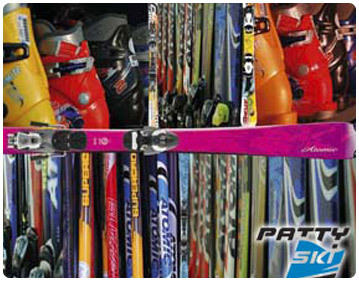 It’s a network of ski schools that have signed up to the BeBe Brumík project. 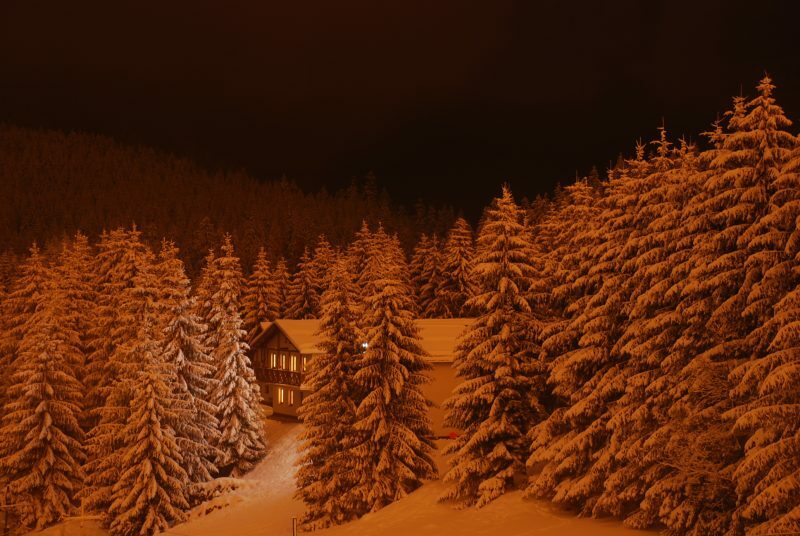 The academy comprised 6 ski schools in the Czech Republic and 1 from Slovakia. 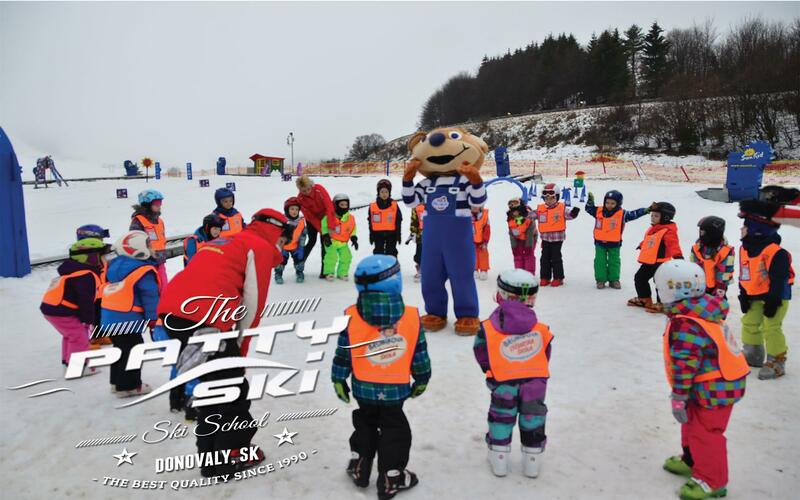 The Slovak ski school is here in Donovaly at the PATTY SKI ski school! 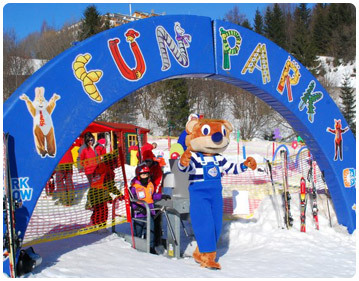 The Teddy Bear ski academy will be offering identical teaching methods at all the participating Brumik Teddy Bear ski schools aimed at teaching kids how to ski all under the professional tuition from specially trained instructors. 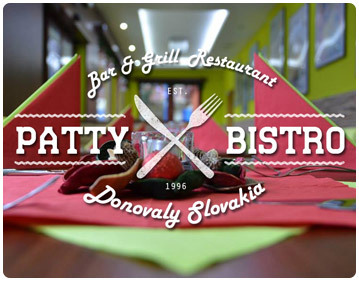 Lessons will be enriched by fun animator programs that spice them up and guarantee perfect fun. So soon our loved characters bunny Dodo and squirrel Lulu will be joined by someone that all kids know. Who is it? None other than Teddy bear Brumík! Each morning Teddy bear is coming to warm up the kids and at the end of the day is coming to see what they have learned. Don’t worry, your kids will be safe and they will never be bored. 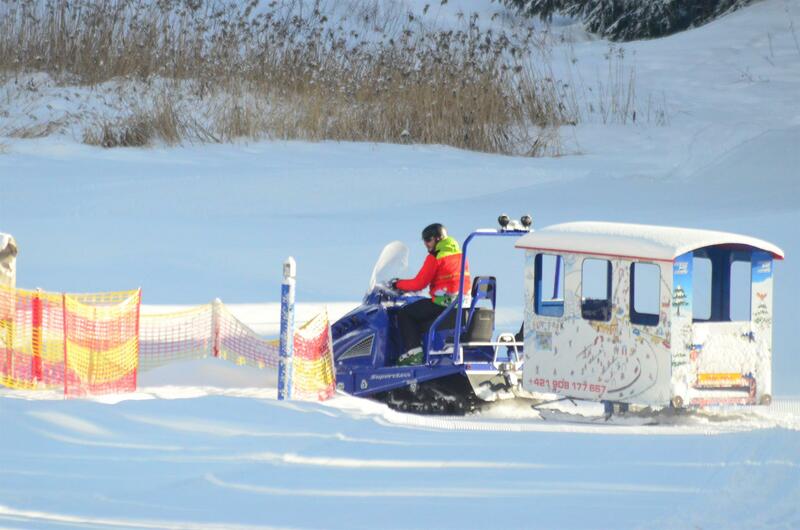 Daily at noon we have our very own DODO and LULU show, followed by games and a ride with our DODO train. 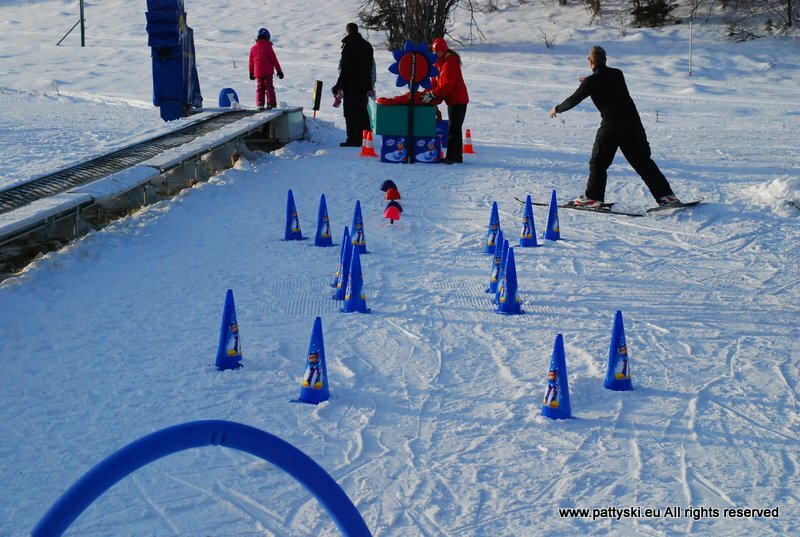 At the end of the lesson each kid will receive gift and a special skiing Diplom and a Brumik.